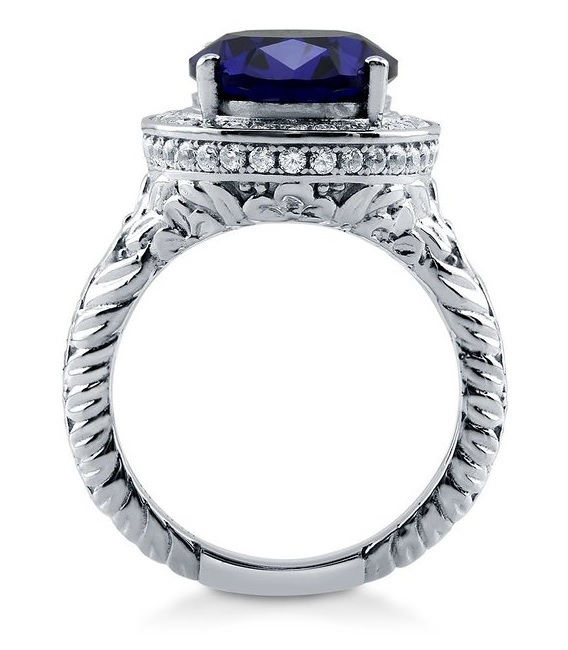 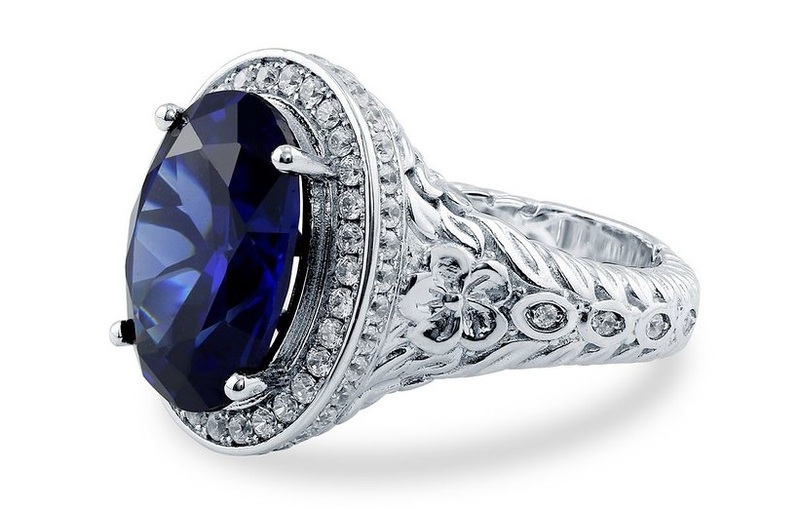 A Spectacular Peter Suchy Art Deco Revival Sapphire engagement ring. 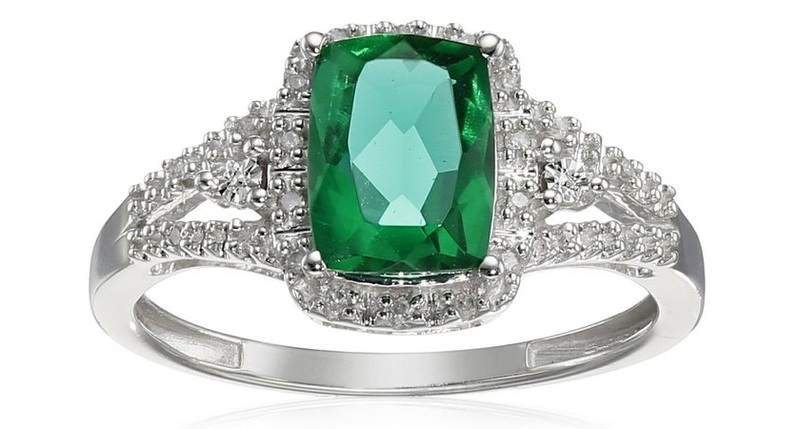 Made with original old cut stones circa 1920 of Emerald step cut style. 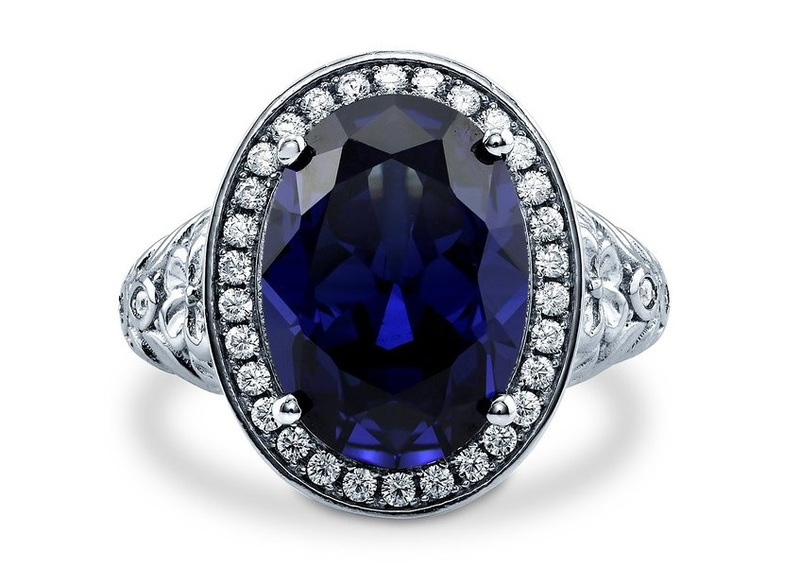 GIA certified 6.05ct natural no heat center Sapphire. 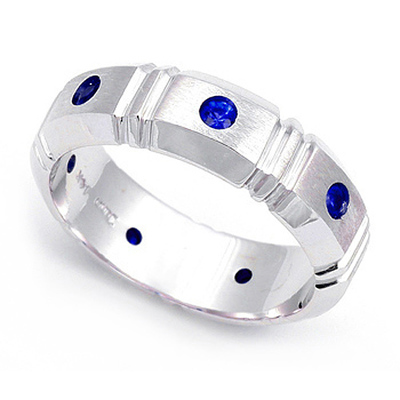 Handmade ring designed and made to show off the center Sapphire. 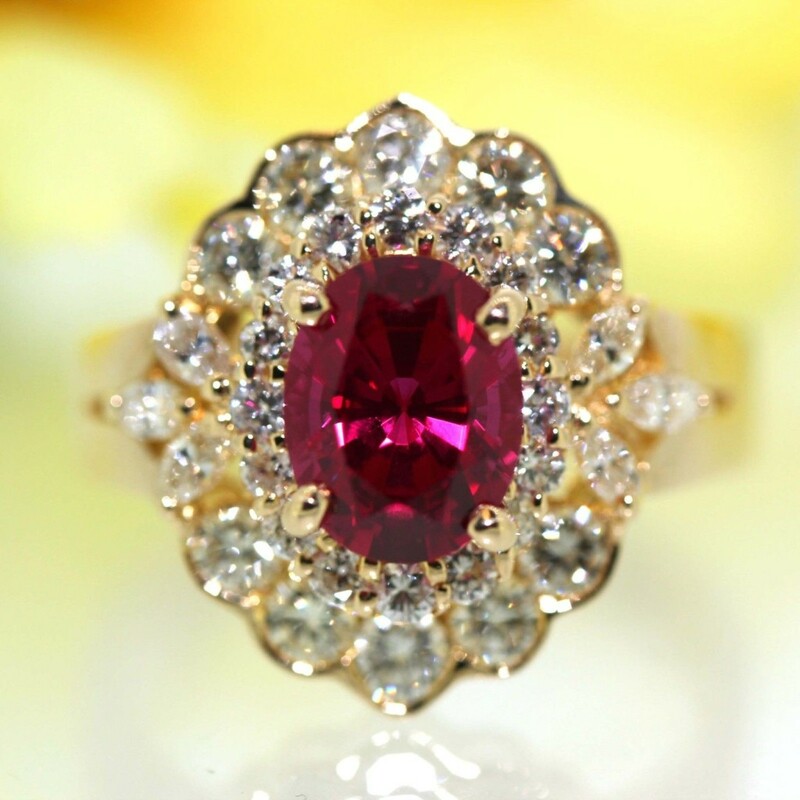 Excellent condition, no repairs or defects. 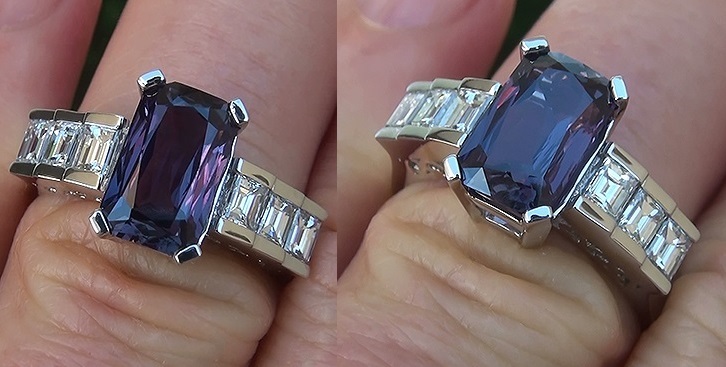 Looks great on the hand. 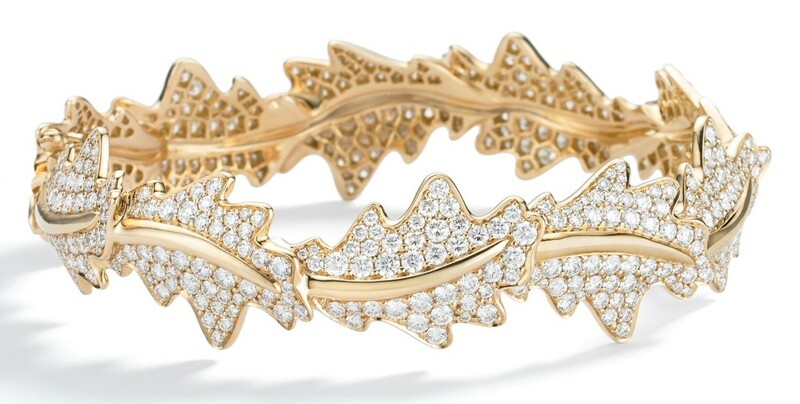 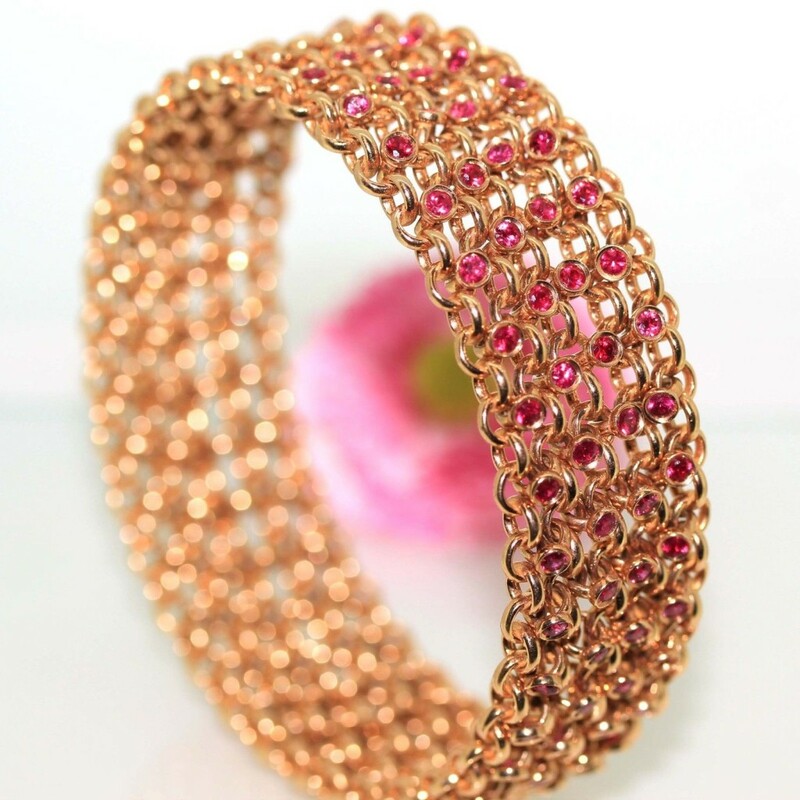 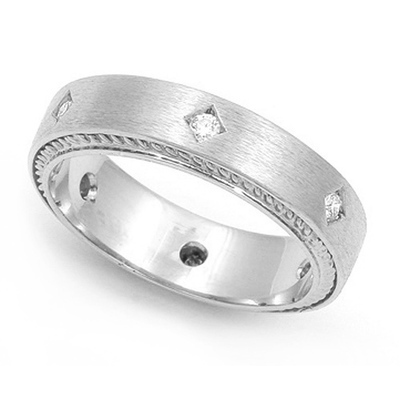 This one-of-a-kind band exudes uncompromising style and grace. 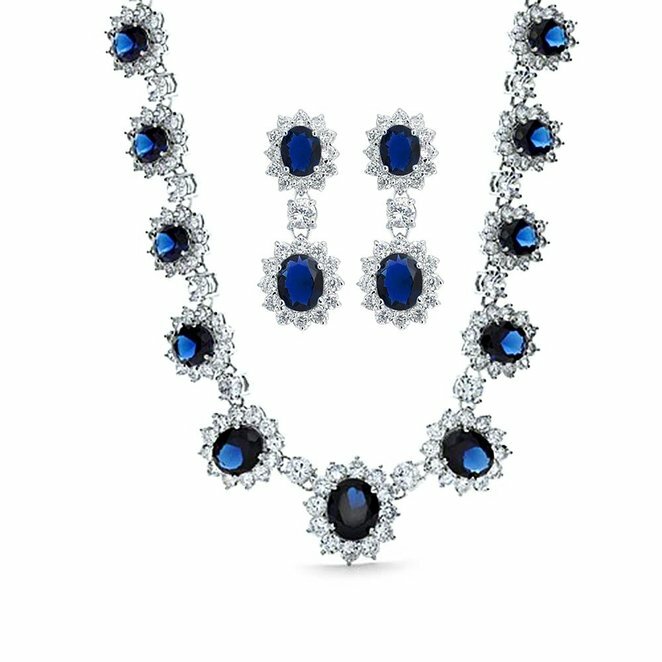 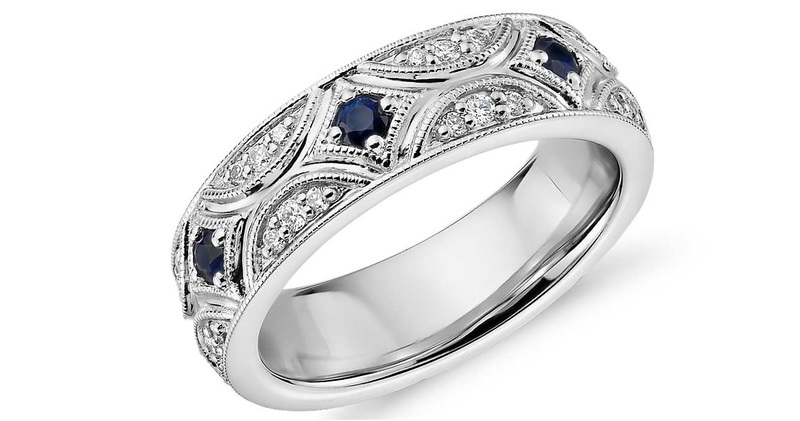 With 7 starlit sapphires adorned by intricate milgrain detailing and diamond accents, this piece is truly timeless. 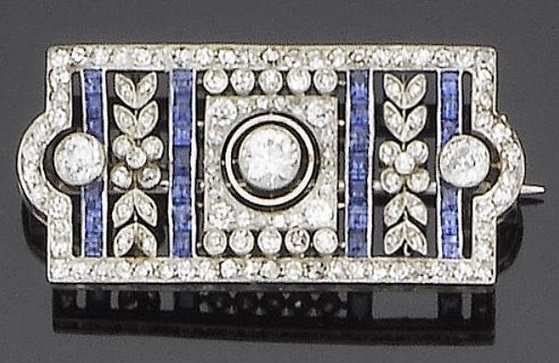 Circa 1940’s, this 18k yellow gold, sapphire and diamond clip by Van Cleef and Arpels virtually epitomizes the Retro period of jewelry that began following the start of WWII, after the art deco aesthetic of the 20’s and 30’s had come to an end. 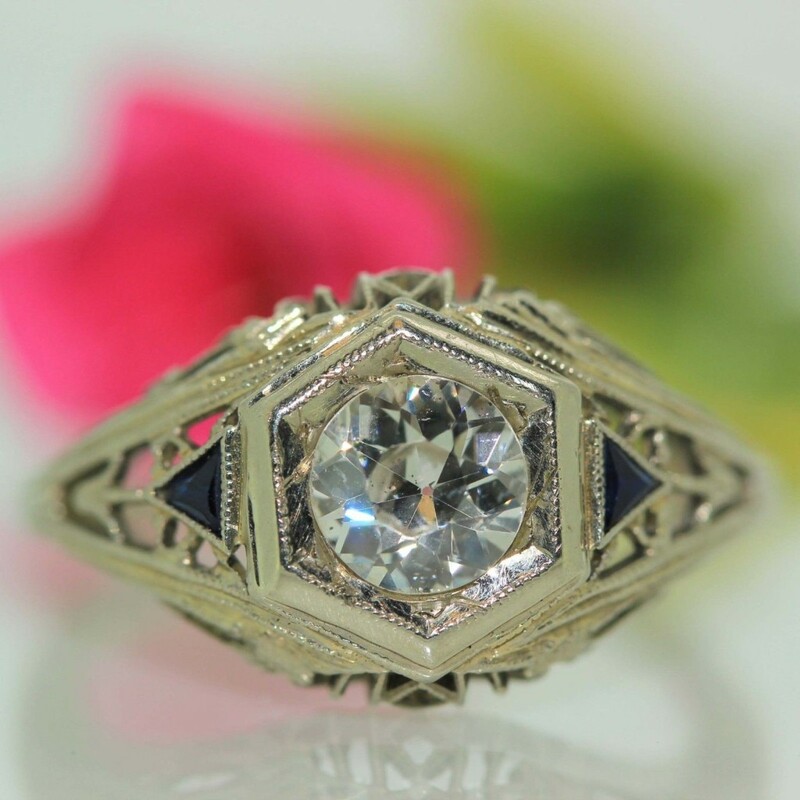 Platinum was used towards the war efforts, and yellow gold became popular in a period of design that began the less-is-more philosophy. 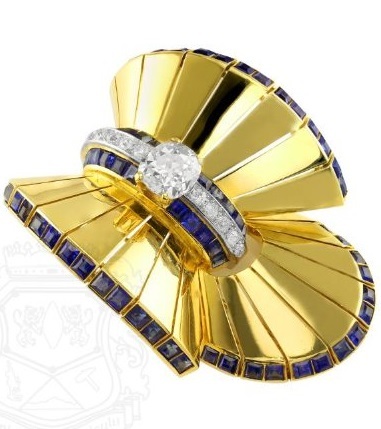 This beautiful clip brooch features 3.00cts of blue sapphires, all square-cut and radiating out like a section of the sun from a gorgeous 2.00ct oval shaped diamond, accented by 1.10ctw of round diamonds. 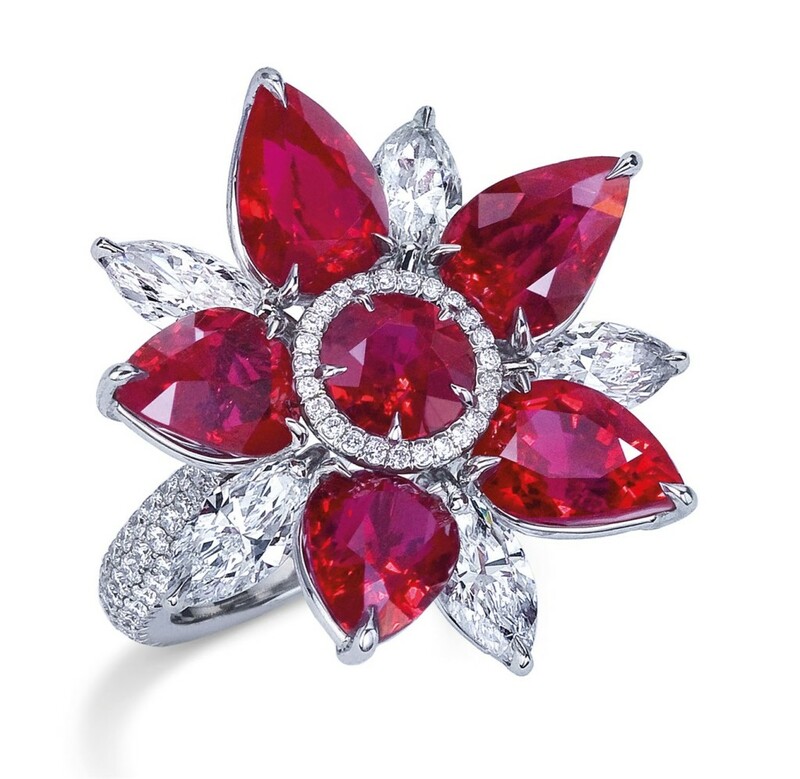 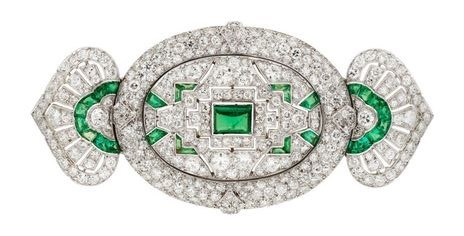 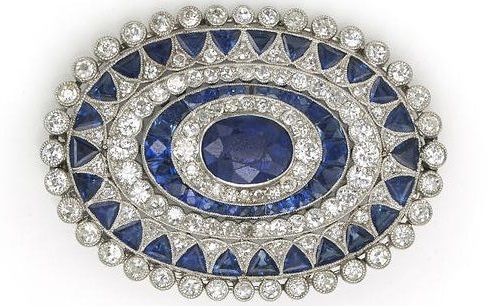 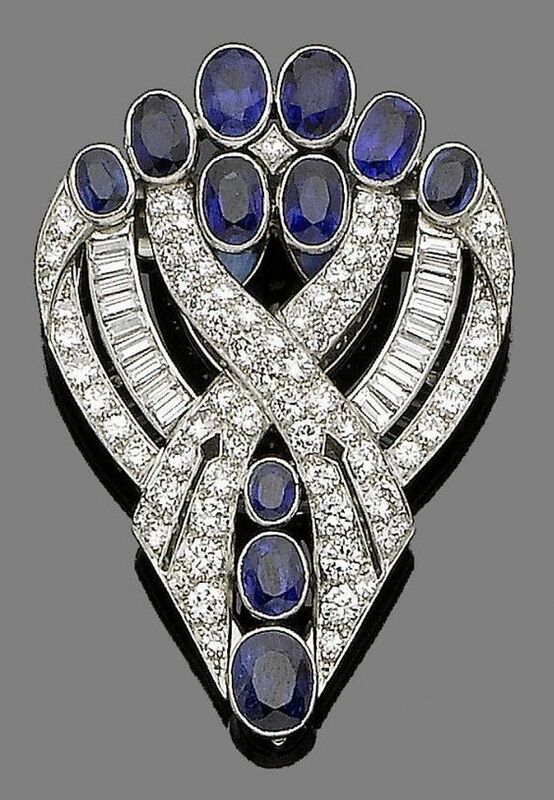 This is a brooch for anyone’s collection of fine sapphire jewelry. 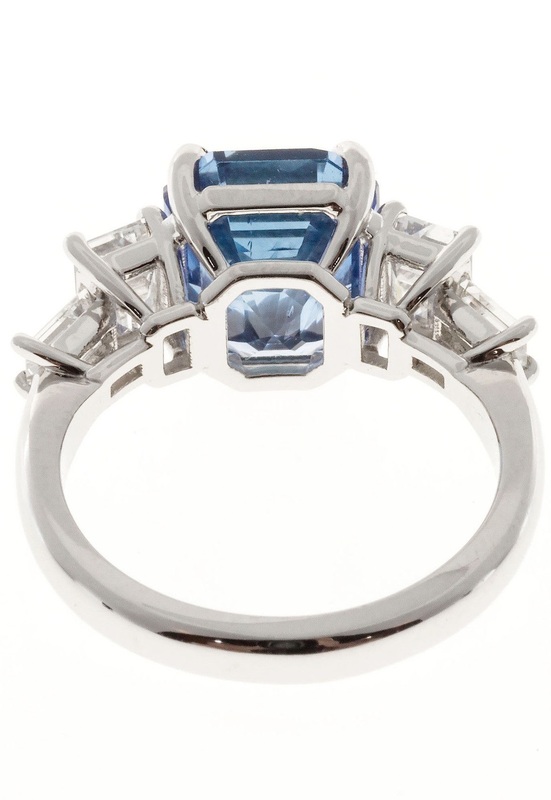 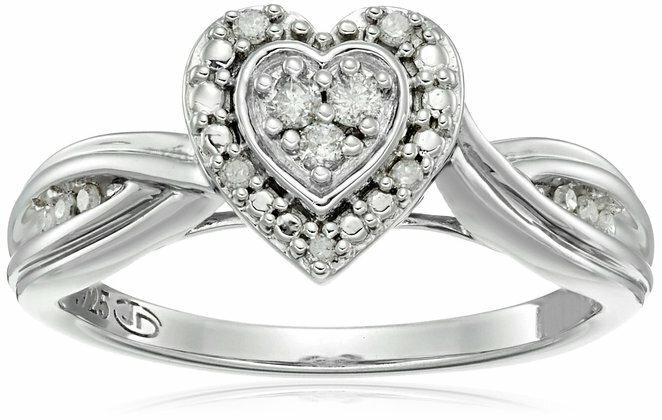 This gorgeous halo art deco ring is made of rhodium plated fine 925 sterling silver. 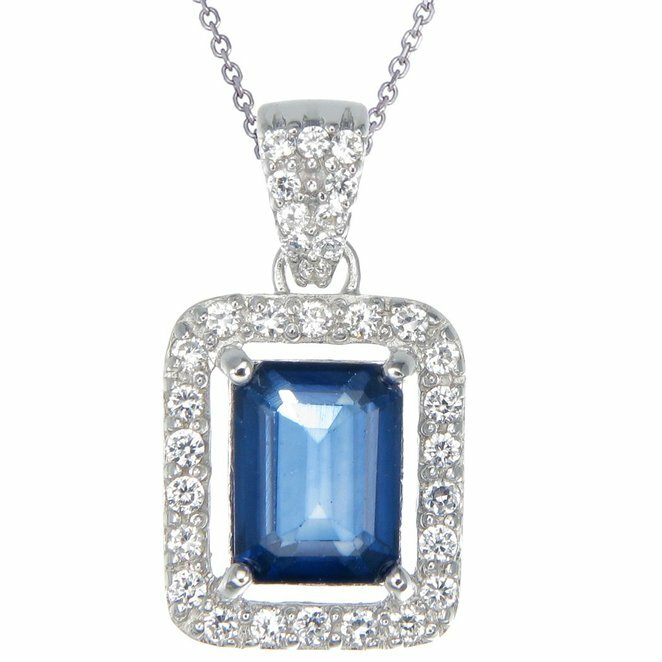 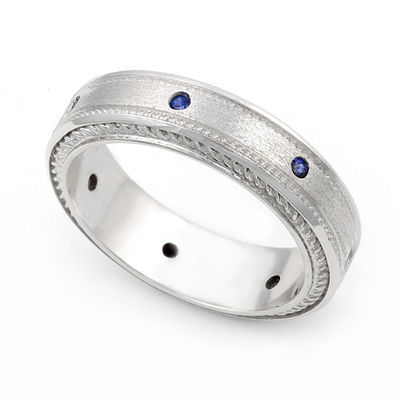 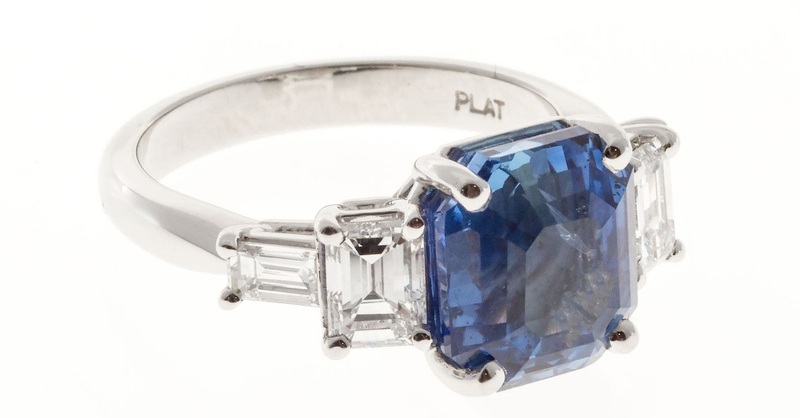 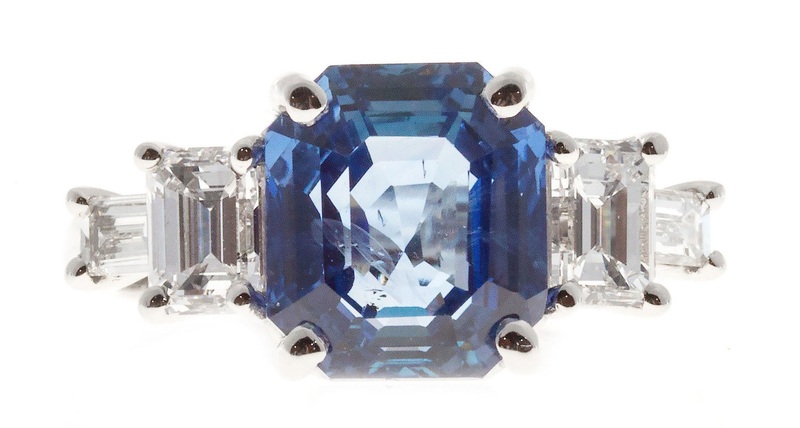 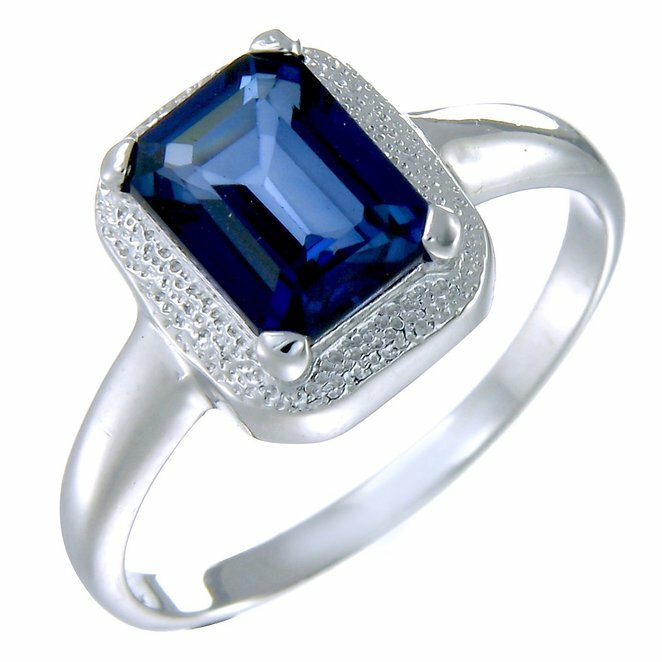 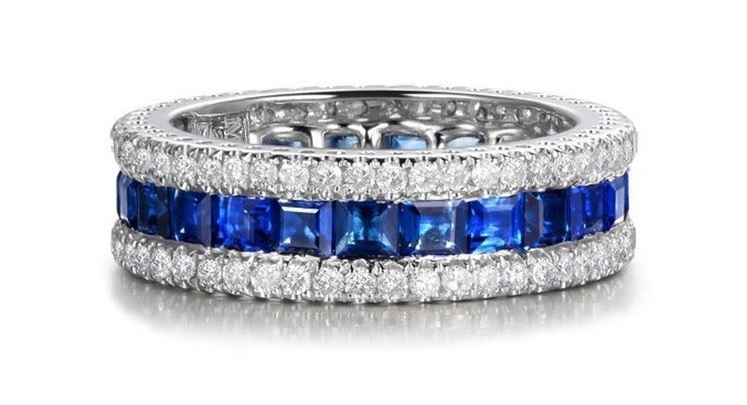 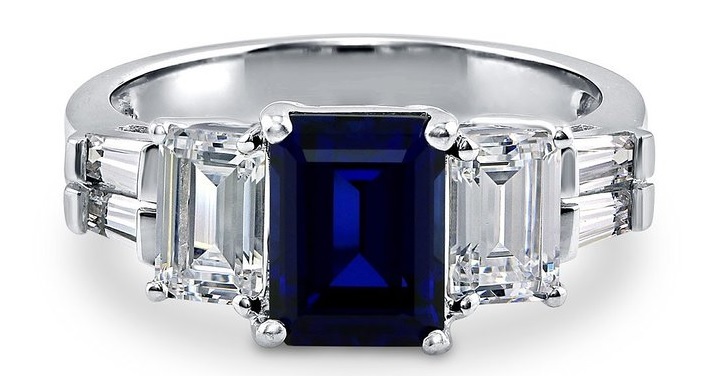 Features 5.81 carat oval cut simulated blue sapphire cubic zirconia (14mm x 10mm) in 4-prong setting. 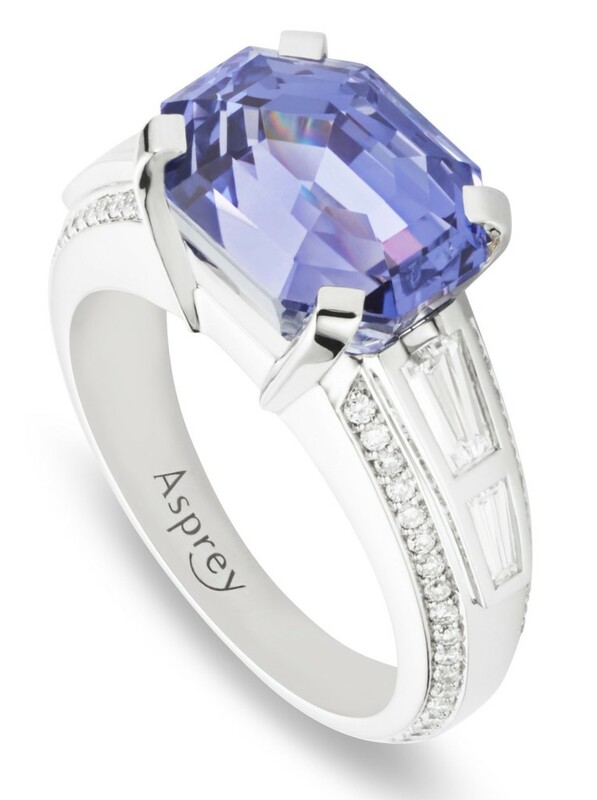 Accented with 0.72 ct.tw round cut cubic zirconia in 4-prong setting. 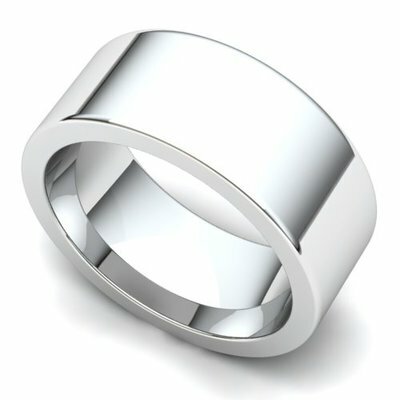 Band measures 4.25mm in width. 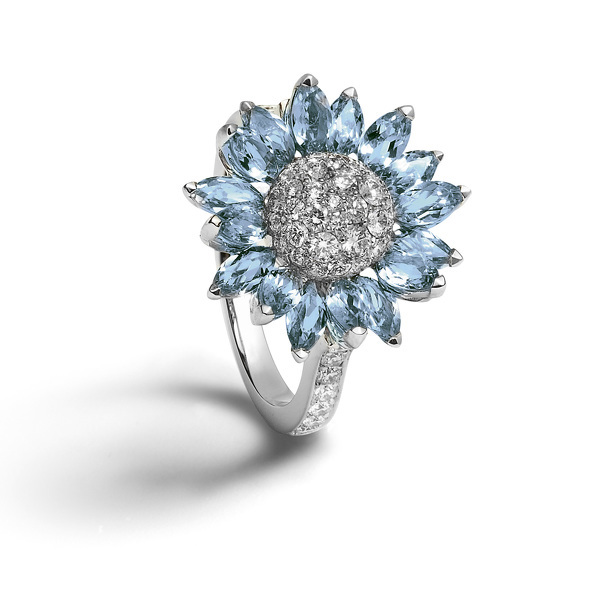 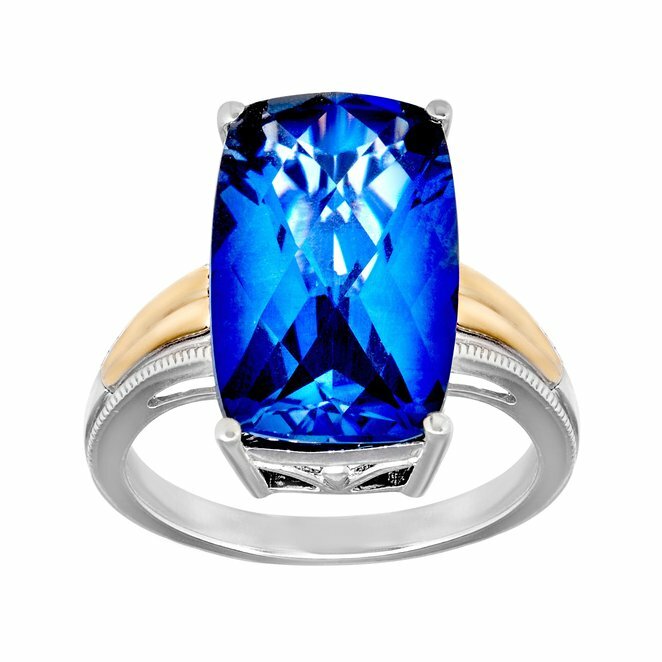 As tranquil as the deepest hue of the blue sea, this Kotlar Harmonie ring represents your trust, loyalty and faith with each other. 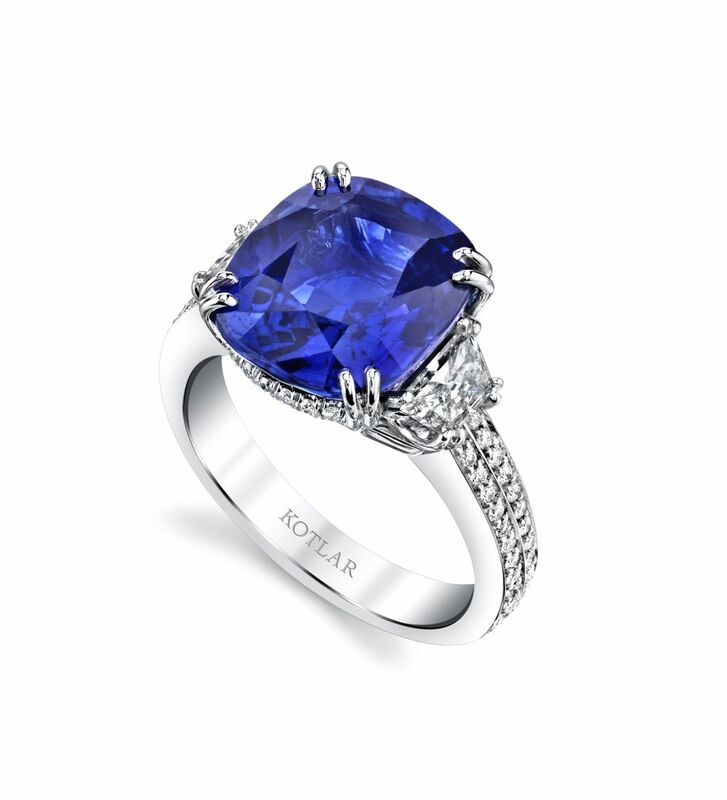 Designed to represent trust, loyalty and faith, this Harry Kotlar Harmonie ring features a 7.03ct cushion-cut sapphire, which is as tranquil as the deep blue sea. 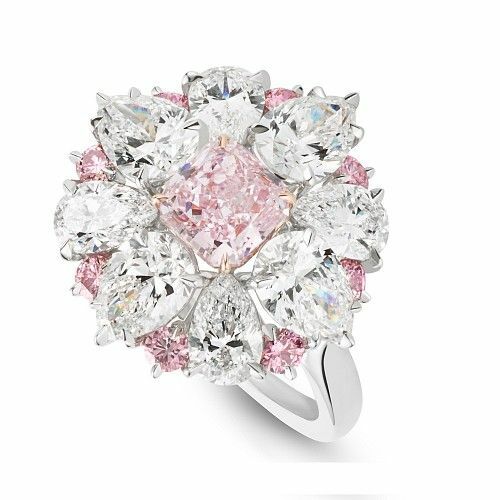 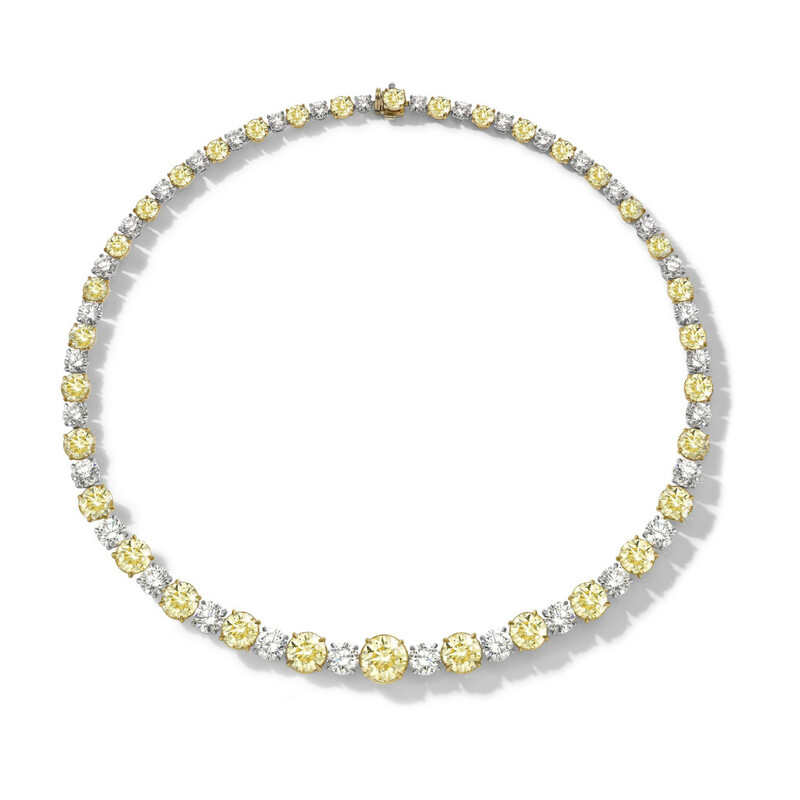 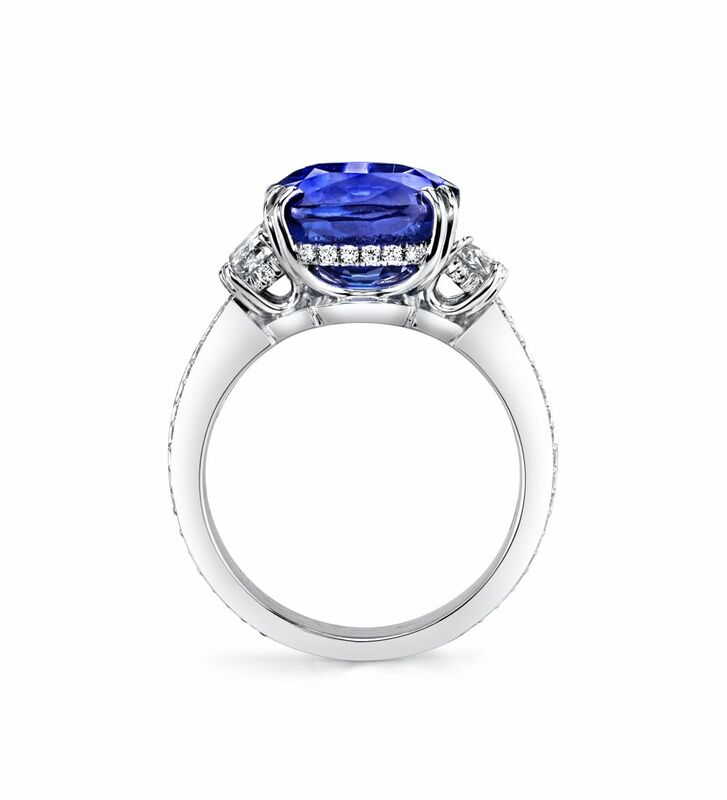 The majestic central sapphire is set in platinum and surrounded by diamonds, exuding the personalized luxury and beauty that Harry Kotlar has been known for since it first began trading in the 1940s. 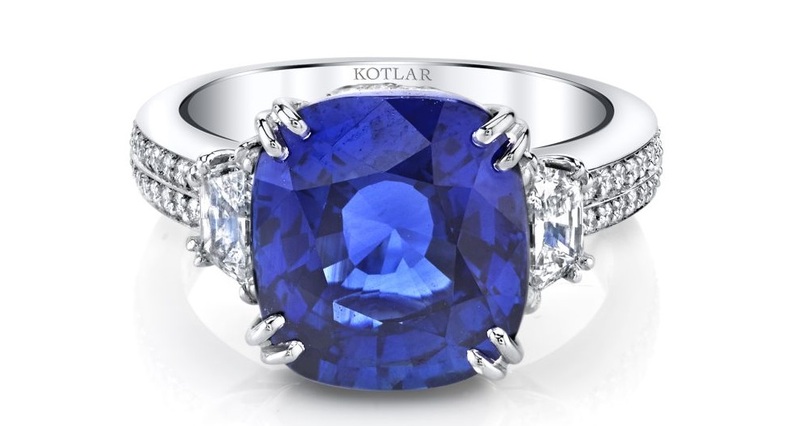 The Kotlar legacy is one of passion, ambition and professionalism. 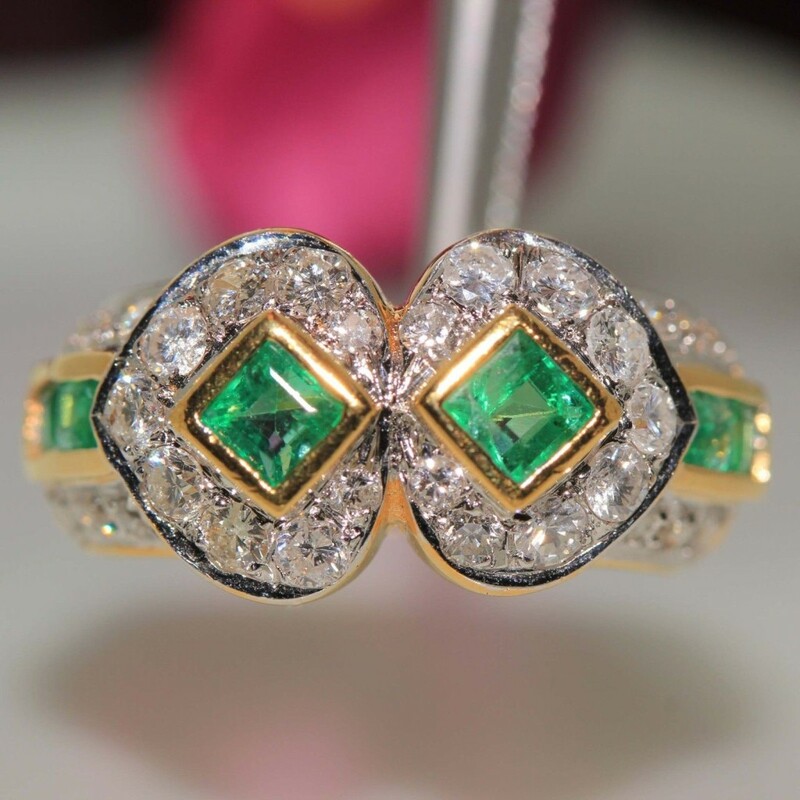 After moving to America from Poland in 1947, Harry Kotlar started selling small diamonds, sent to him by his brother in law in Israel. 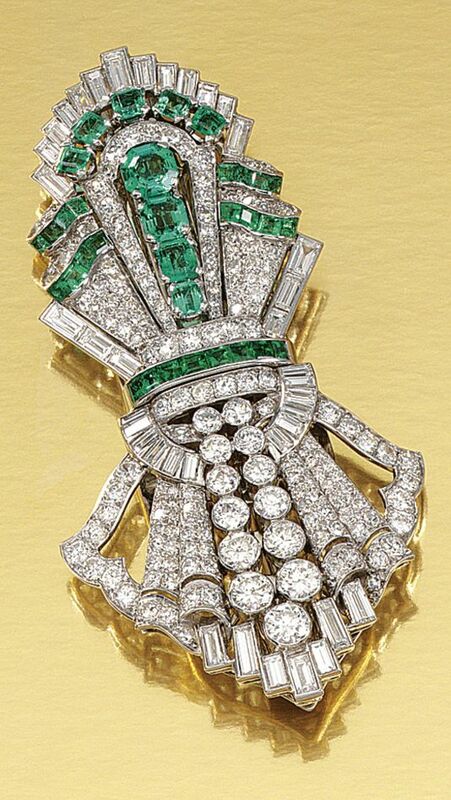 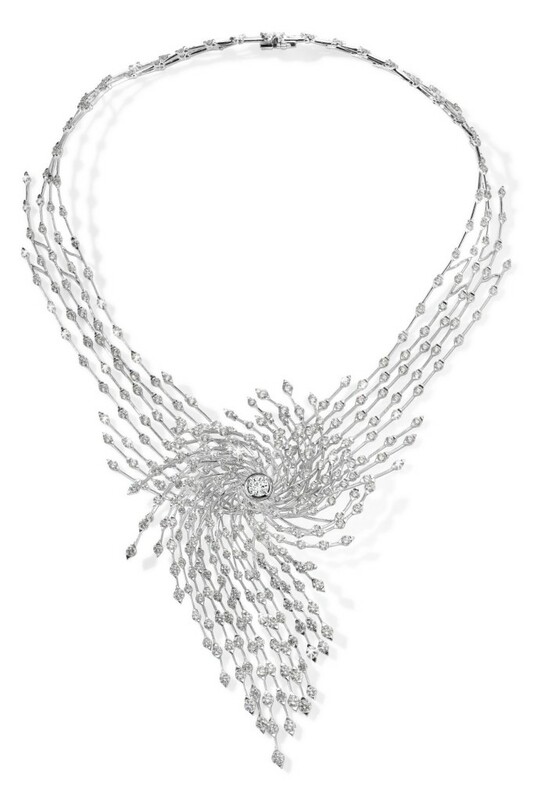 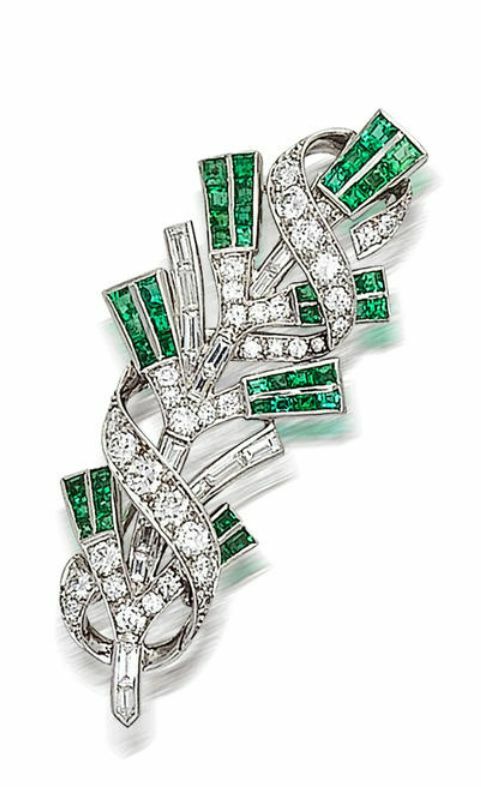 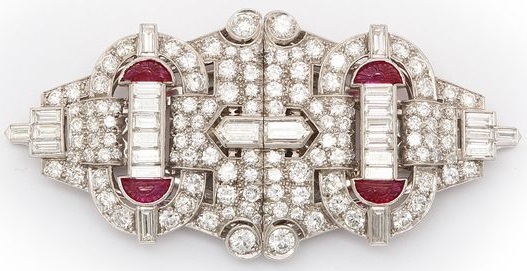 As Harry’s reputation flourished so did demand, and within a decade he was creating exquisite, sought after pieces using high value diamonds. 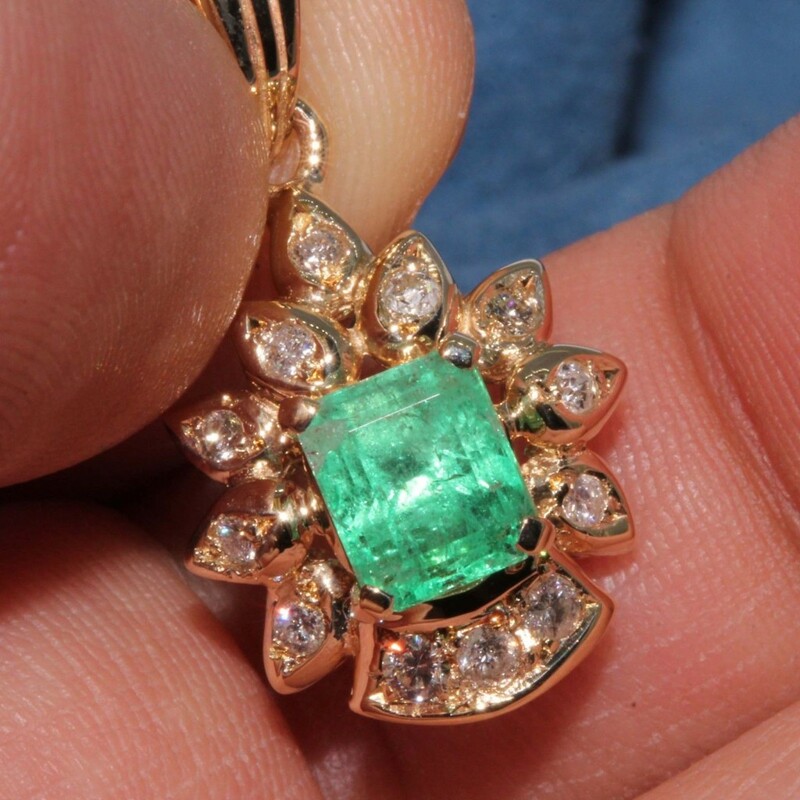 Today, this legacy is kept alive by David Wiener, who joined the family business in 1987. 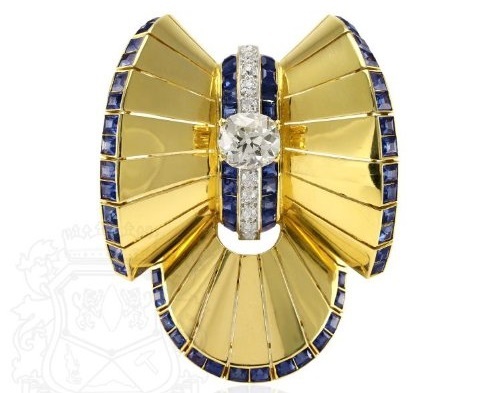 David’s visionary approach to jewelry design, combined with the company’s unrivalled master craftsmen, has made Harry Kotlar jewelry among the most coveted in the world. 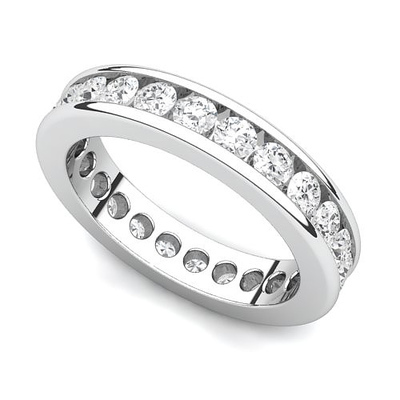 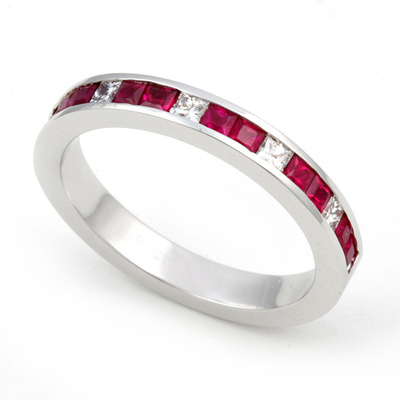 Juno Jewelry offers classic diamond eternity rings to contemporary styled men’s wedding bands, Juno Jewelry provides you with timeless selections in wedding jewelry. 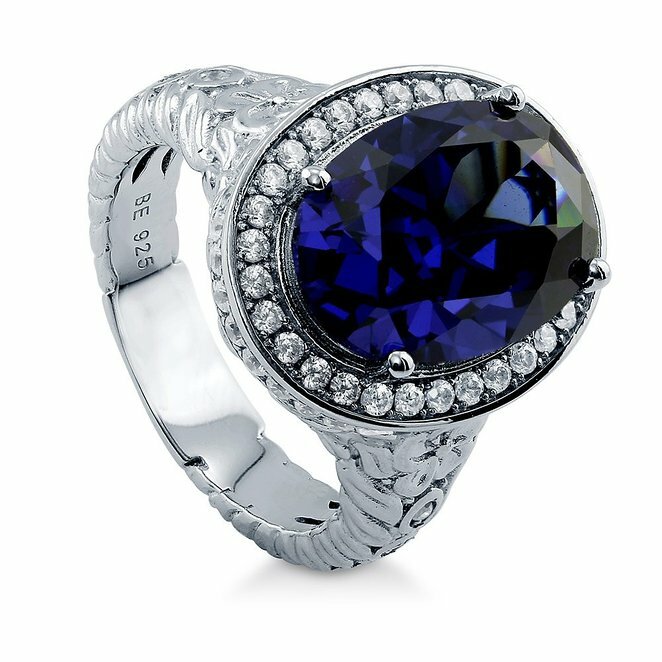 Juno’s collection showcases beautiful rings crafted in the US which combine traditional craftsmanship with contemporary appeal. 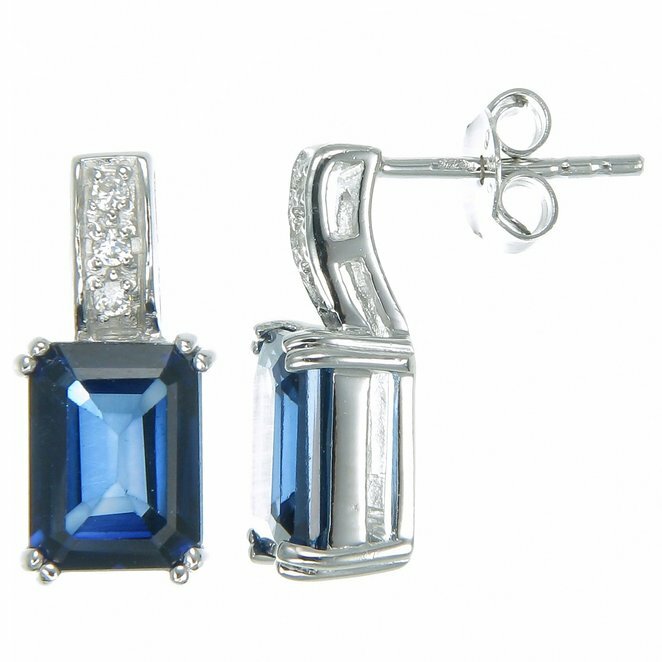 Highlighting an array of metals, gem cuts, and styles, our team never makes compromises with respect to fashion and quality. 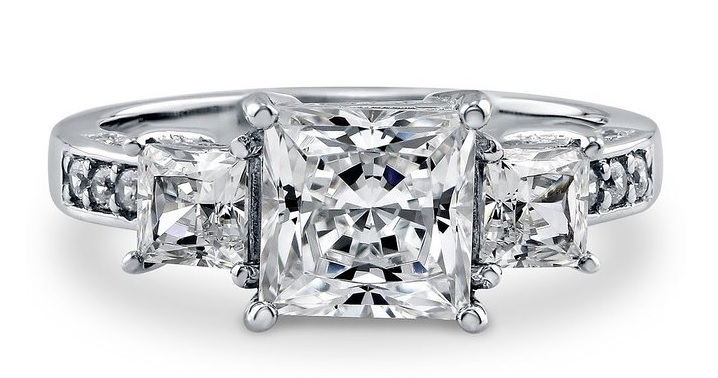 Selecting the perfect engagement ring at Juno Jewelry. 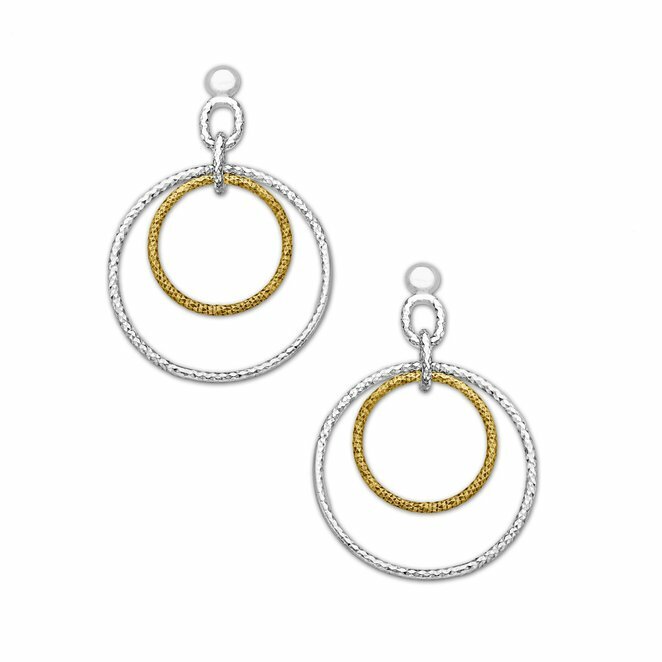 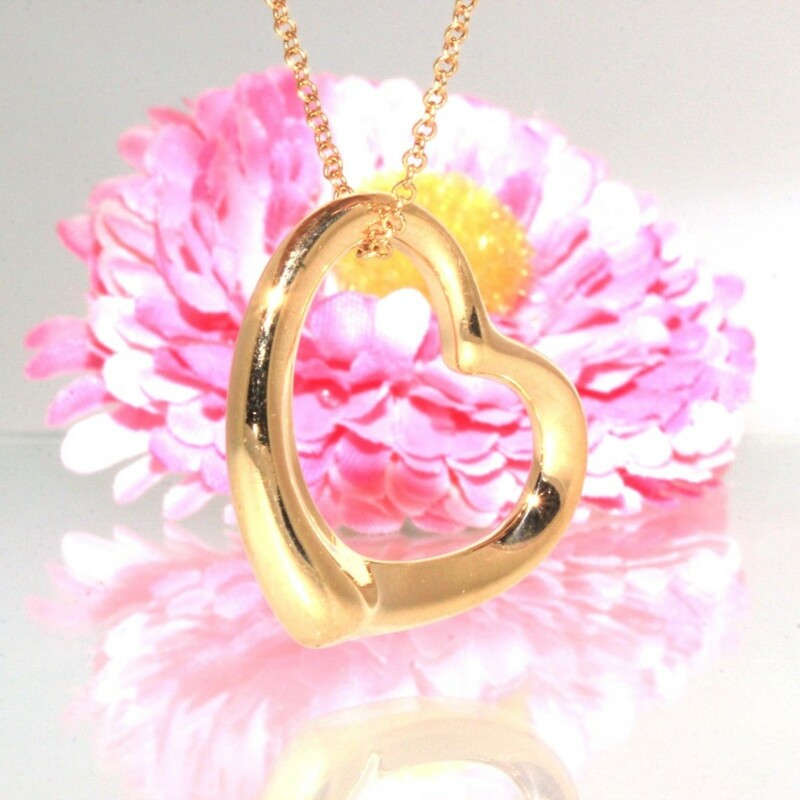 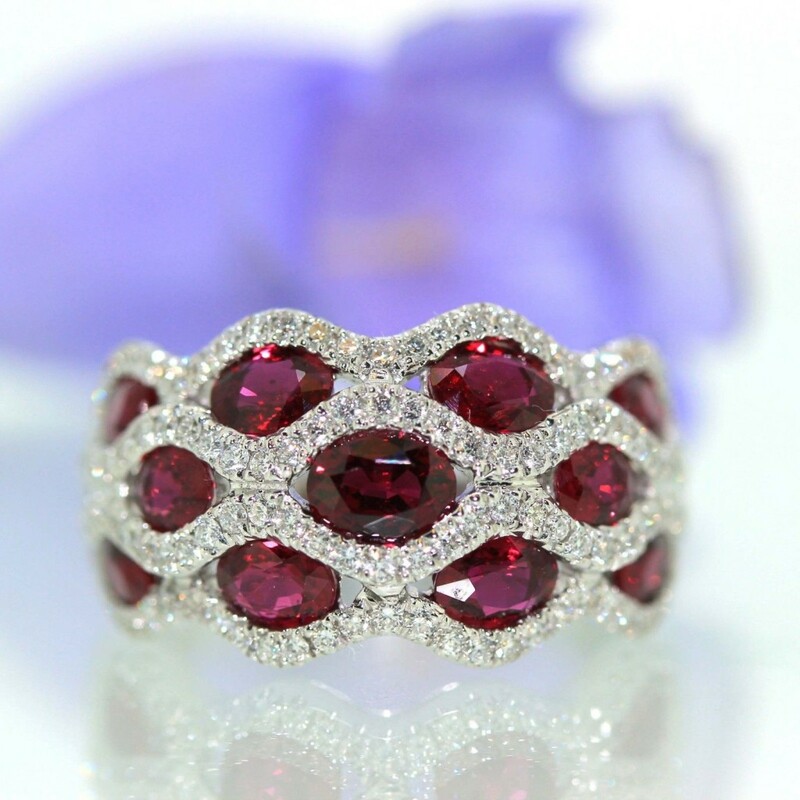 Her jewelry pieces provide information about her ring size, but they will also give some hints about the types of jewelry she likes. 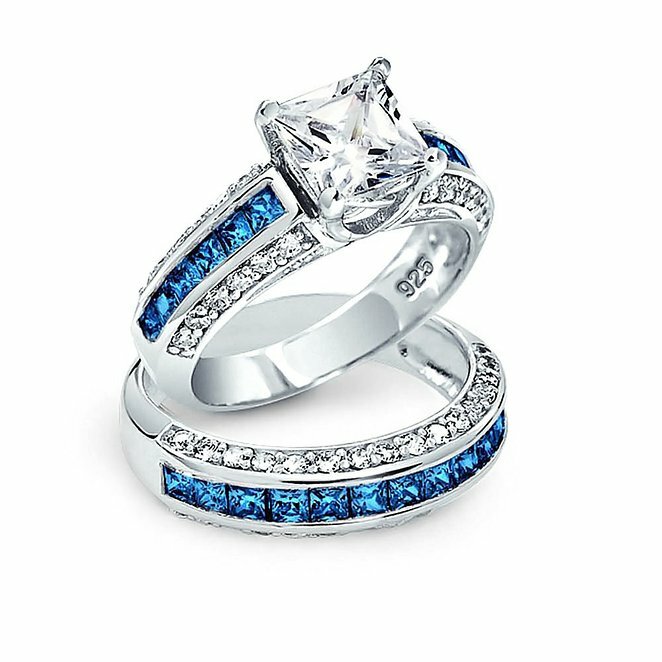 Looking at her Pinterest page to see if she has pinned any women wedding rings or asking her best friends what she might like, will also help. 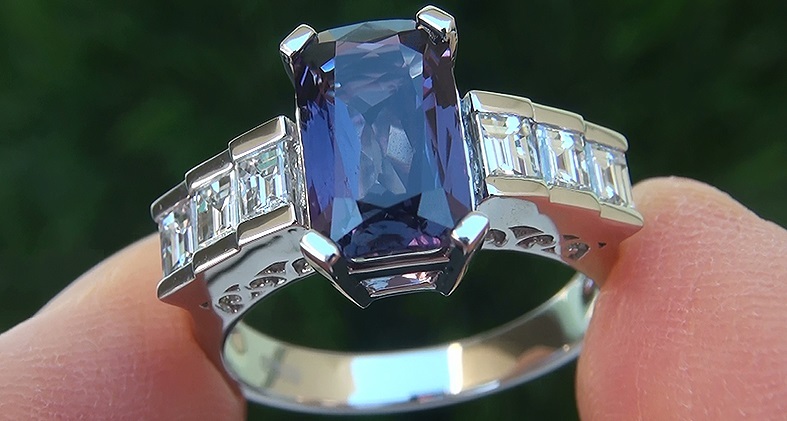 Always purchase your engagement ring from a quality dealer of women’s wedding rings to avoid getting the most value for your hard-earned cash. 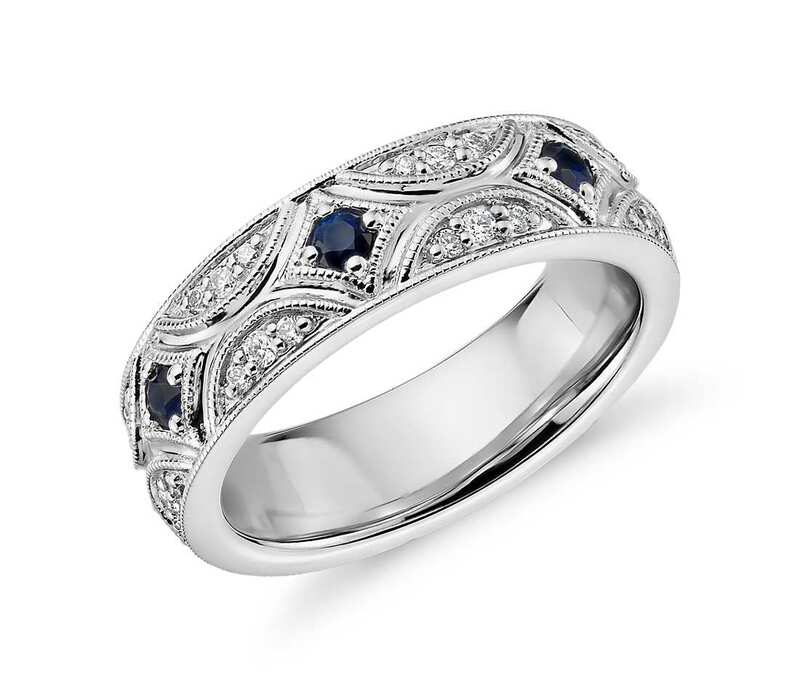 The classics never go out of fashion, and that certainly holds true for wedding rings. 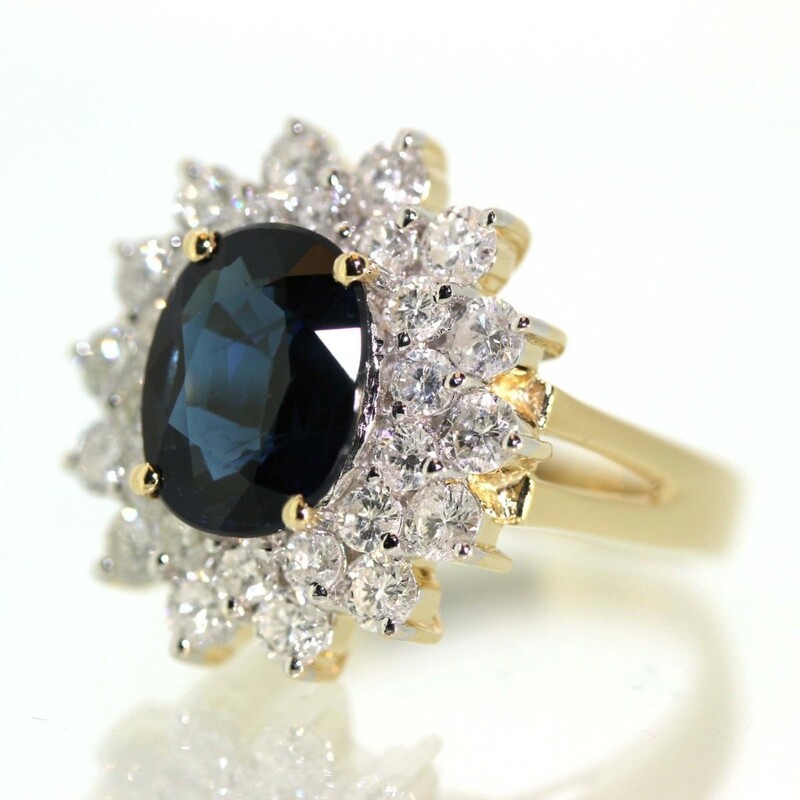 The classics represent style and sophistication. 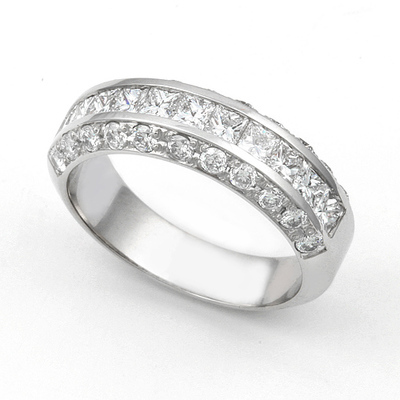 Yes, the classics never go out of style, and classic wedding rings are still the perfect solution for taking your true love’s breath away. 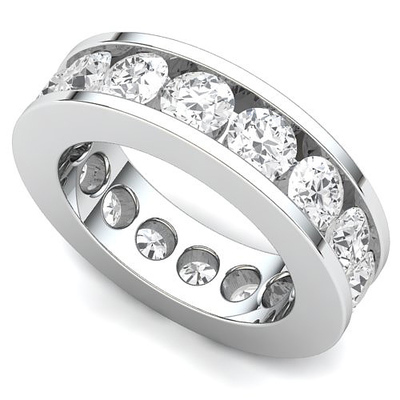 Juno Signature Wedding Rings will keep you from being just another face in the crowd, and you certainly don’t want your marriage to be just another statistic. 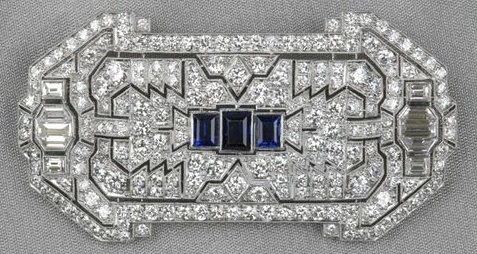 As the people around you remain content in their mediocrity, you strive for excellence. 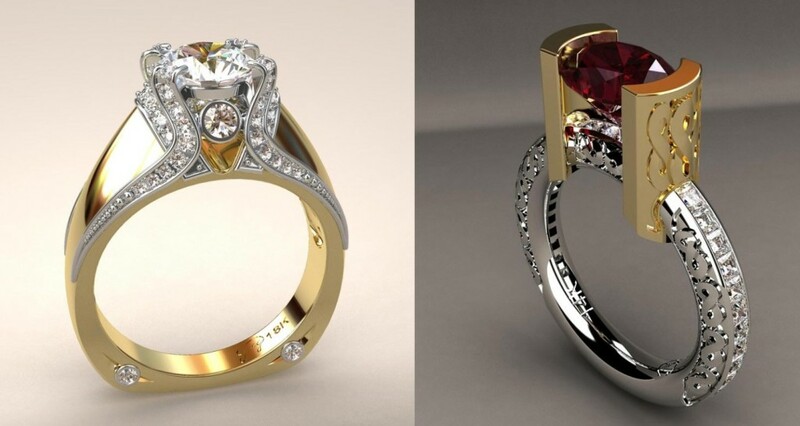 Why should your marriage aspire to anything less? 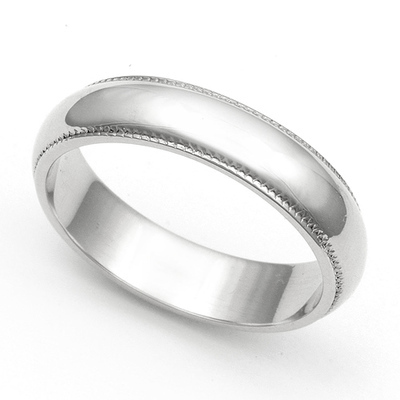 It’s time to skip the boring, mass-produced wedding rings and present your partner with something truly special. 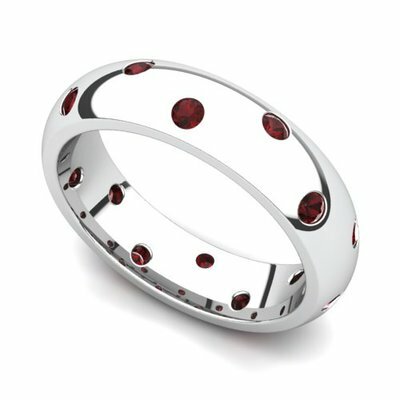 At Juno Jewelry, they pride themselves on signature class of unique wedding rings, as Juno Jewelry has gone to great lengths to imagine, design and create some of the most stunning, one-of-a-kind rings on the market. 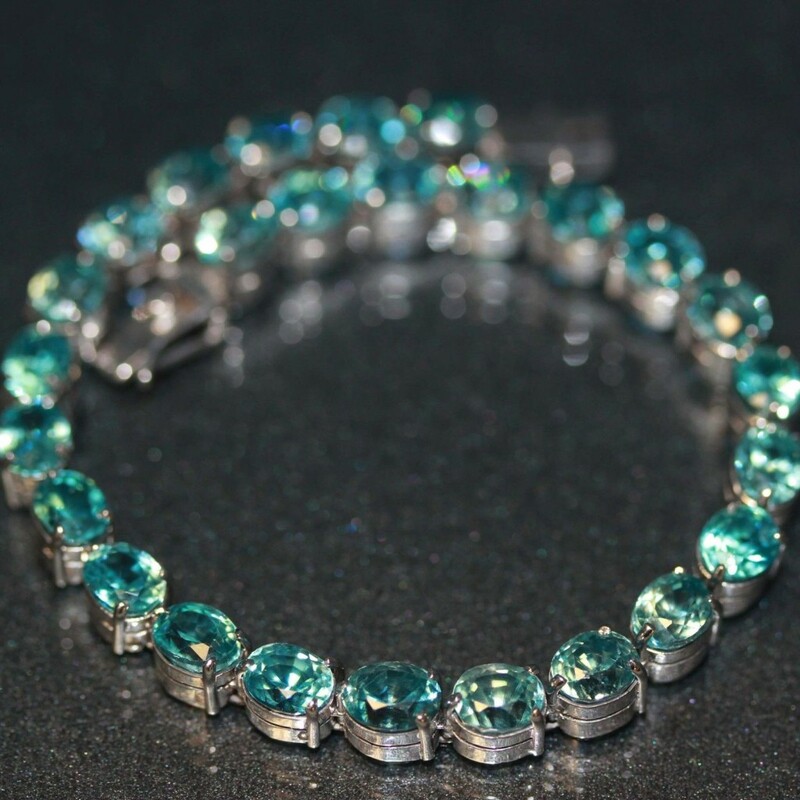 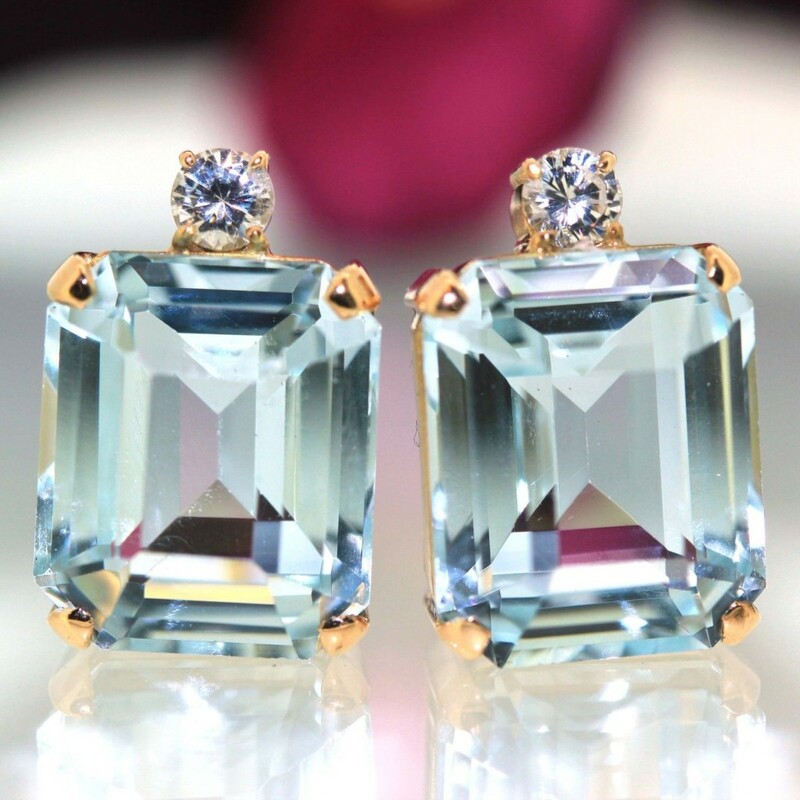 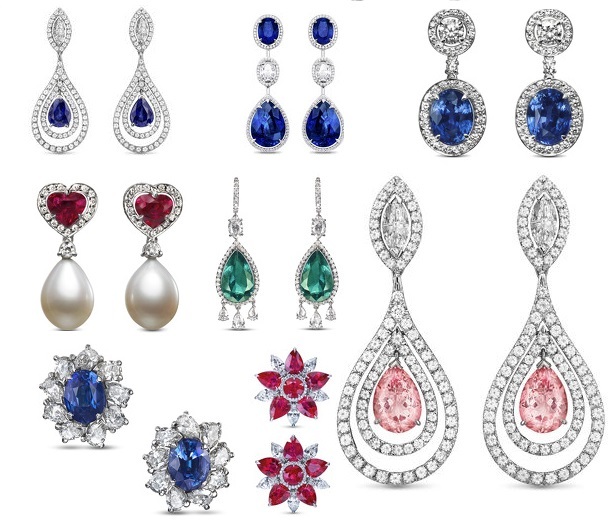 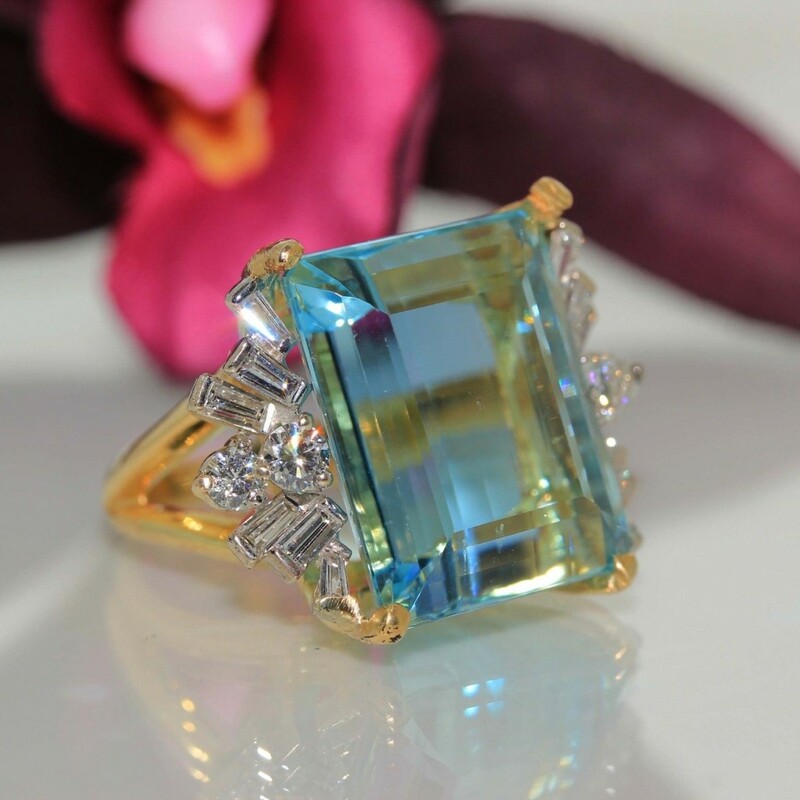 There’s nothing quite like the fire and sparkle of jewelry made with beautiful gemstones. 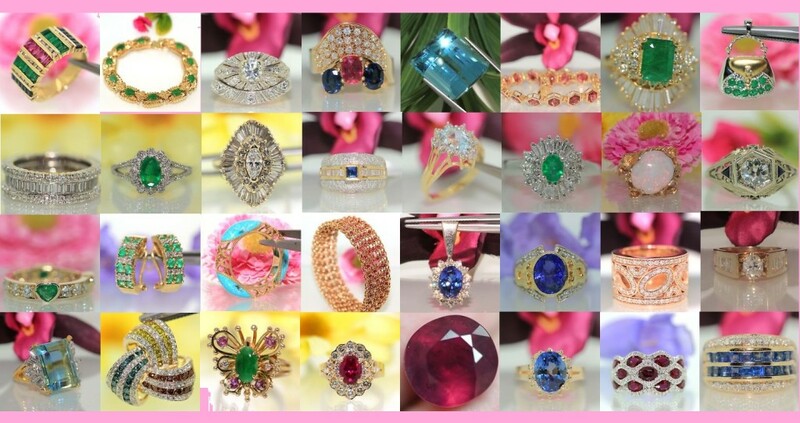 Gemstones add color and excitement to a fine piece of jewelry, and gemstone rings offer an eye-catching quality that ups the ante on a woman’s overall look, elevating her style from great to knockout gorgeous.